Visiting loved ones in assisted living is one of the best ways to get everyone geared up for the upcoming holidays. Thanksgiving, Christmas, Hanukkah, New Year’s, and all the days in between are perfect times to visit family. One problem many people encounter, however, is that once they enter an assisted living facility they don’t know what to do. Should you just sit and chat? Walk around? Find a common area like the dining room? The short answer is yes. All of these things are possible. Remember, assisted living facilities are meant to be your loved one’s home. They are comfortable in their home and want you to be comfortable as well. 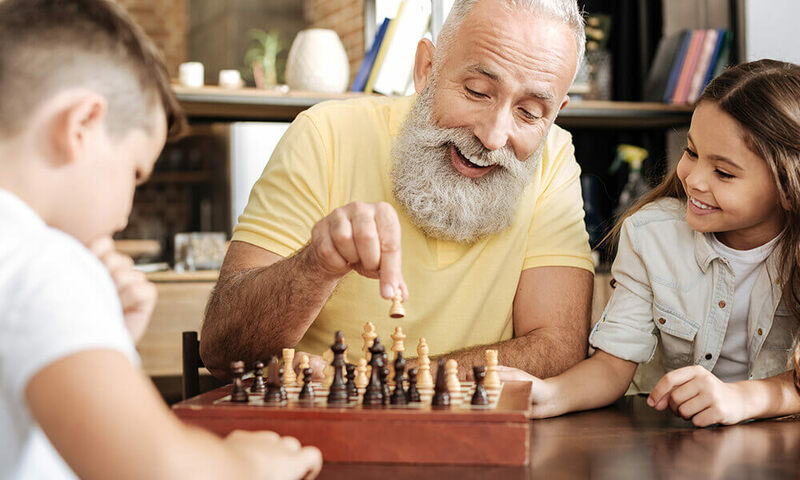 If you’re still at a loss about what to do, here is a list of great activities that you and your older loved one can do together next time you visit. One of the best ways to get the family together, settled, and happy all in one place is to play a game! Maybe Grandma likes pinochle and wants to teach everyone how to play. 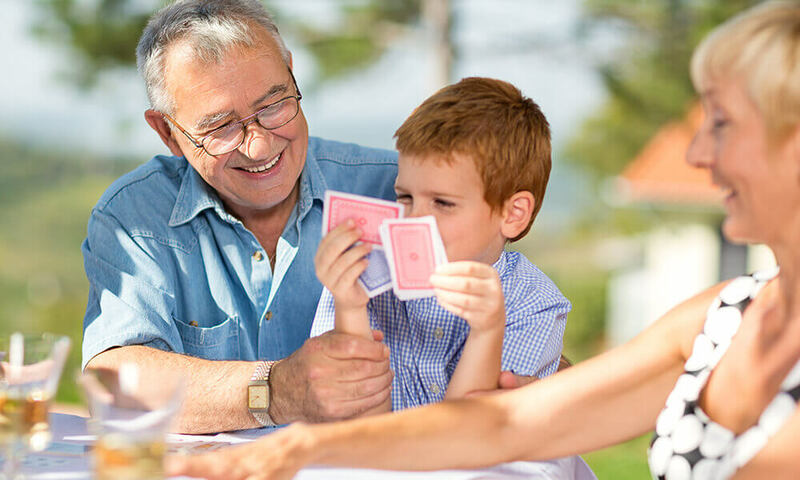 Games as complicated as “Monopoly” to simple as “Go Fish” can make lasting memories when enjoyed with family. Thanksgiving is approaching, and some people need a little extra help to get through the holiday season. Whether it’s for a food drive at your loved one’s church or a local charity you found online, many organizations put together boxes or baskets full of essential holiday foods for families in need. 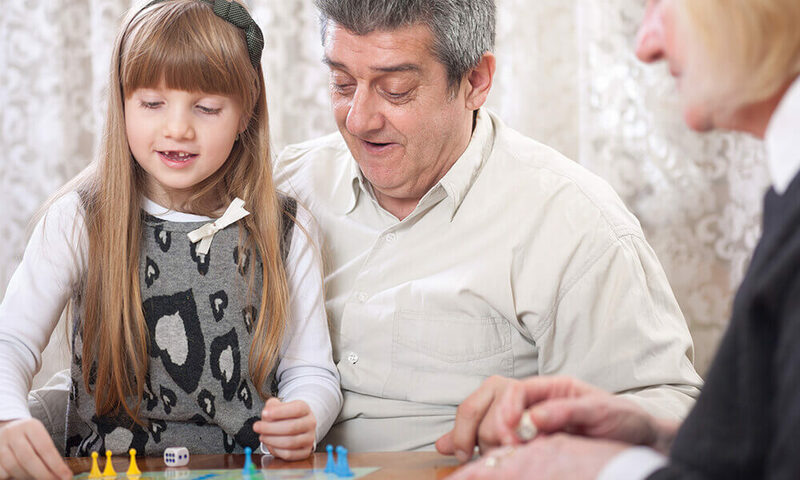 The seniors in your life will enjoy the feeling of giving back and seeing the generous holiday spirits of their children and grandchildren in action. Give your loved one a lasting gift that you made together! Round up all the best pictures you took during the year, print them off, and bring scrapbooking supplies on your next trip to your parent’s Lincoln, NE assisted living facility. You’ll all have fun looking through the memories you’ve made this year and sharing them with family. Leave the scrapbook for your loved one when you go back home so they have family pictures to show their caregivers and other residents this holiday season. The Macy’s Day Parade is up first, and after that it’s free game! Turn on Charlie Brown and his Thanksgiving adventures or lead the sleigh with Rudolph the Red-Nosed Reindeer. Grandkids and grandparents can bond over their shared love of a classic holiday movie. Sing along with the songs and make movie time a family affair! What fun activities do you enjoy when visiting your loved ones in assisted living? Let us know in the comments. 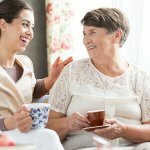 Then, share this article with a friend to give them ideas for their next assisted living facility visit.